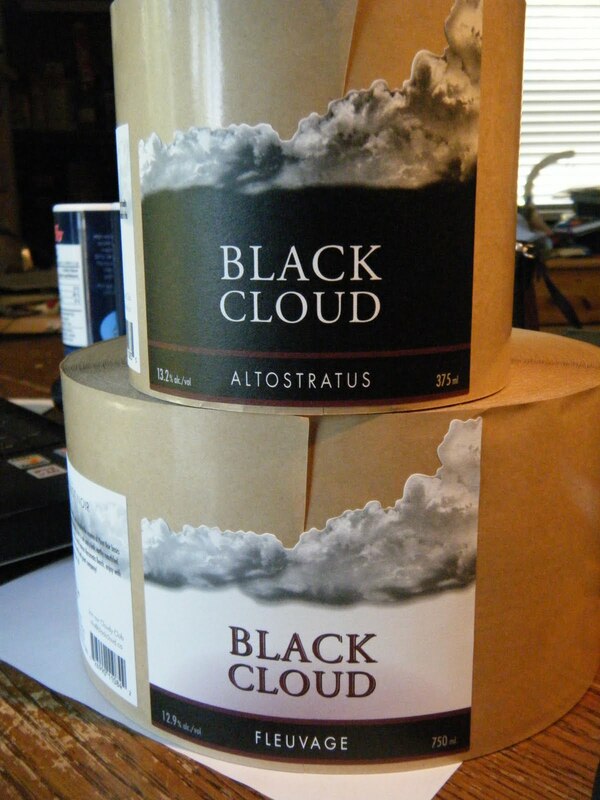 Black Cloud - Unmatched Pinot Noir: Understanding Wine and the relationship between the wine, the drinker and the chili. Understanding Wine and the relationship between the wine, the drinker and the chili. One of the biggest hurdles a producer of wine will have to leap is the preconception the end user (consumer, drinker) has for your product. Trying to solve the riddle of what the consumer wants is a fools' game. In other circles it's called "chasing the market". As soon as you change your style and purpose, the market shifts, leaving you as yesterday's child. What is the best wine and best way to make wine? It's extremely subjective. That's why I make wine that I like. Wine that I will drink , that my friends and family will drink and, along the way, some people agree with what I do. It's a lot like chili con carne. That's right. Spicy meat stew. Because no one can agree what's the best way to make it and everybody has their favourite versions and that includes the vegetarians. "How the hell am I gonna make that taste good?". Using local produce to flavour and/or preserve the meat is a time-honoured trick of history's chefs. Like keeping wine in oak barrels, often the necessity of the times becomes the preferred style. A complete history of chili is here. Start with your meat. The basic is some kind of ground beef. But if you want to be real use some tough cut like chuck or hanger steak. Remember, cookie was looking at some tired piece of mystery meat that was all dried up and turning a funny colour. And he was also looking at a herd of tired, hungry range hands who needed food. If you can lay your hands on it, use game. That gets closer to what the frontier cooks had to use. I've used ground moose. Next, your chilies. Seek out some nice dried peppers that are remotely close to what you want in a finishing flavour. I don't go for scorching hot anymore; I prefer an earthy, slightly tannic pepper with some bitter notes. You can get these at any decent specialty grocery store. I'm using anchos/poblanos. Pasillas are also good for this. Here's a rough guide. Of course, your tongue is the best research. In the bowl in the photo has some fresh stuff from my garden that I'll use to 'finish' the chili towards the end. First thing, let's make tea. Fire all those dry, crusty peppers into a pot and simmer in about half the pot of water for an hour or three. You can remove the stems and shake out a few seeds to start if you wish. I tend to do that at the end of the tea pepper steeping ritual. While you're waiting for pepper brew, chop onions. I like onions in my chili, There's no rules but part of chili tradition is to use what you have on hand. I like a medium sized onion to every liter of chili I make. Fire those onions, finely chopped, into your destination pot. A little oil of your choice brought to heat will help. Wait til they're translucent and remove to a side dish. If it's been a couple hours we can start working the peppers. If not, grab a beer and go see if the game is on the TV. But set the timer or else the whole effort good go in the loo. Let the pepper bath drain through a colander into a bowl. Stir about to allow the peppers to release all their liquid goodness. Reserve the liquid! You'll need it thin your chili or your paste. More on this shortly. As you can see, I'm a tomato man. I love the tomatoes. I've got a couple pints of my garden's bounty(vintage 2009) ready to go in the pot. Tomatoes, and how much you put in, is a matter of taste. Which brings me to beans. I like beans. I like beans a lot. I even like beans in my chili con carne. But I do not put them in until the service. I do not cook my beans into the chili. Do what you wish, use the beans you wish. But I do not include the beans in the chili automatically. Here's the pepper tea, still steamy. Next, after allowing to cool, it is time to process the peppers. I remove the stems at this point as I don't want an overdose of tannins and phenols. Whatever. It all goes in the food processor. How do you like my vintage Cuisinart DLC-10 Plus? Still works like a charm. Process it to mush, use a little pepper tea if you need to thin it and make it a little more mixable. Get it a little thinner than toothpaste but thicker than gravy. Not done with it yet. You can throw it in like this but you'll be picking pepper skin and seeds out of your teeth forevah! I toss mine in an old fashioned food mill at this point to get nothing but pure pepper goo. So I mill it down. At this point you will have to taste it. Depending on what peppers you have used, this may be a a bit of a shock. Have some milk on standby. It's essential to know what you've created so you can gauge the addition of pepper paste. Who is your target palate? How much heat are you going to bring? This is a little like tasting red wine out of the barrel in the spring right after the fall harvest. You get a sense of the direction your little production is going to take. Of course, while I'm doing this, I'm also browning the meat in the same pot I started the onions. A little oil helps, especially it you're using very lean meat. No salt or pepper. Let the eaters add theirs later. is coming to an end, turn down the heat and add your garlic to taste. I loathe the bitter, angular taste of burnt garlic. But I love garlic done right. That's why I always make sure the heat is indirect and not on a bare cooking surface. Now it's time for the bulk of the non-meat items. Here are the tomatoes, lightly fried onions and the pepper paste. Plus some fresh bits from the garden. Stir it all up and let it simmer. To thin it, use the reserved pepper tea (will add a richer, spicier effect) or beer ( has an intriguing nuttiness). If your add-in bits of tomato, fresh pepper and such thin the chili too much the only approved (by me) thickener besides slow reduction is masa (corn flour). Again, use the pepper tea to mix a masa slurry and then dribble/mix it into the chili. Tastes great right away and even better refrigerated and warmed up next day. And that's how I make wine. 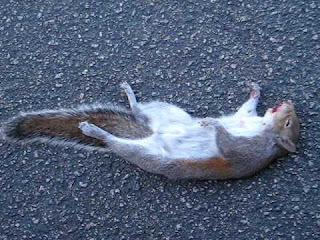 Do you find it matters to the flavour what the squirrel died from? You should write a cookbook. Seriously.